The University of Pittsburgh, speaking on behalf of Starzl's family, says the renowned doctor died peacefully. PITTSBURGH: Dr Thomas Starzl, the pioneer of liver transplantation and the driving force behind the world's first baboon-to-human liver transplants and research on anti-rejection drugs, has died. He was 90. The University of Pittsburgh, speaking on behalf of Starzl's family, says the renowned doctor "died peacefully" Saturday at his home in Pittsburgh. 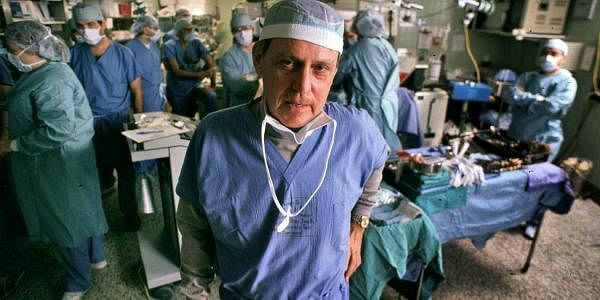 Starzl performed the world's first liver transplant in 1963, the world's first successful liver transplant in 1967, and pioneered kidney transplantation from cadavers. He later perfected the process by using identical twins and, eventually, other blood relatives as donors. Those who knew him say his work lives on not just in the lives of those who were saved by organ transplants, but in the continuing development of drugs to broaden the source of those organs to include animal-to-human transplants.